Whale watching in San Diego is one the best activities for families of all sizes, and children of all ages. There’s nothing better than relaxing on a catamaran cruise under the bright sunshine, bobbing along the clear blue waters while catching glimpses of the bay area’s host of exotic sea life. 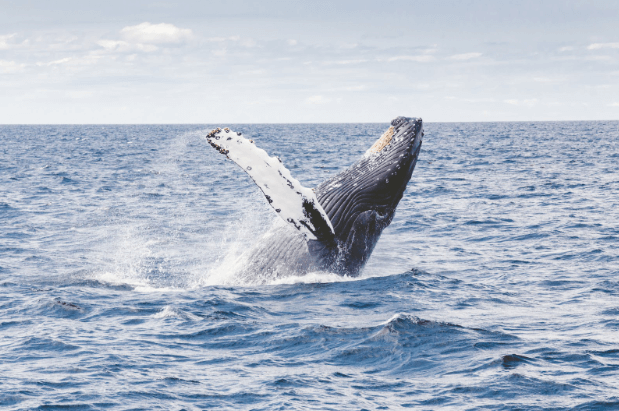 At Fun Cat Sailing, we offer the best whale watching tours in San Diego, giving guests an encompassing experience of the San Diego Bay and the beautiful aquatic life that call it home. 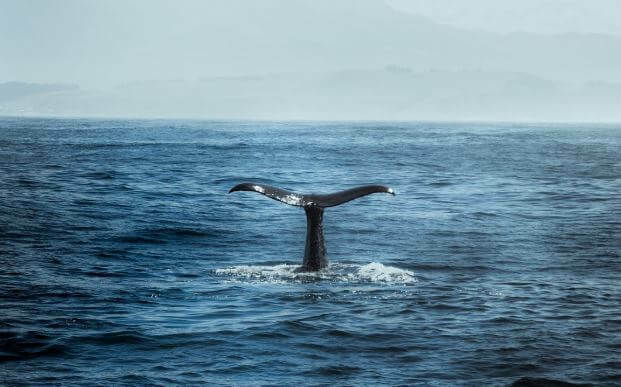 With an emphasis on private groups, our whale watching tours are perfect for family events, friendly celebrations, or as an excuse to appreciate the beautiful surroundings of San Diego. While the city may have its attractions, it wilts in comparison to the expansive ocean, shimmering horizon, and the chance to experience a mammoth whale up close. Guests can choose from two different catamaran boats, the roomy Tigress or the fast Wind Drum. Both are perfectly safe for children of all ages, but each boat will provide its own unique spin on your charter. If you’re planning a longer, cushier, and more relaxing journey, then we’d recommend the Tigress. It can accommodate larger groups, and was built with socialization in mind. Those seeking the thrill of skirting across the ocean’s surface at some of the fastest charter speeds in the country, should choose the Wind Drum. While we like to emphasize smaller private group tours, this isn’t to say public tours are wrong. But if you truly want the experience you’re looking for then we’d recommend keeping your party exclusive. That way, when you remember this cruise years from now, you’ll think of the abundant sea life, the sunny rays, and your closest friends and family. There are tons of gray whales in San Diego. You might even catch a glimpse at a pod of bottlenose dolphins, pacific white sided dolphins, and common dolphins too! Most whales, like the Gray whale, undertake a seasonal migration along the California coast to reach mating grounds near Mexico. During this time, some may even come close enough to shore to actually spot them from land. However, nothing beats the excitement of witnessing a mighty whale break the glassy ocean surface from the front row seats of our catamaran boats. That sort of experience can’t be replicated, and since our captain has sailed these waters for 25 years, he’ll take you to the most well-known “hotspots”. During the whale watching season, from mid-December to mid-April, many gray whales and dolphins are commonly encountered as well as sea lions and sea birds! This trip of observing and interacting with wildlife and whale watching is truly an experience of a lifetime! Our charters come with complimentary drinks and snacks to help fuel you through this amazing cruise. In addition to the beautiful wildlife, guests will also be treated to unparalleled views of the cityscape, nearby attractions, and of course the warm Pacific waters. Our esteemed captain has 25 years of experience under his belt, and is Coast Guard licensed. With smaller groups you’ll get personalized attention and sea life education to round out the total experience. Our public sails are open to everyone! With prices of only $85 per person, our catamarans accomodate people of all ages, whether your group is looking for great adventure or just some relaxation! These are best whale tours San Diego has to offer. Contact us now, and get your cruise scheduled today!